It can be a savings bonanza for Canadian shoppers, but only if you follow some basic rules! Black Friday. The one day in the year when running over your fellow man or woman to acquire one of one hundred flat screen TVs at 80% off retail price is deemed ‘acceptable’ behaviour. Okay, maybe not. 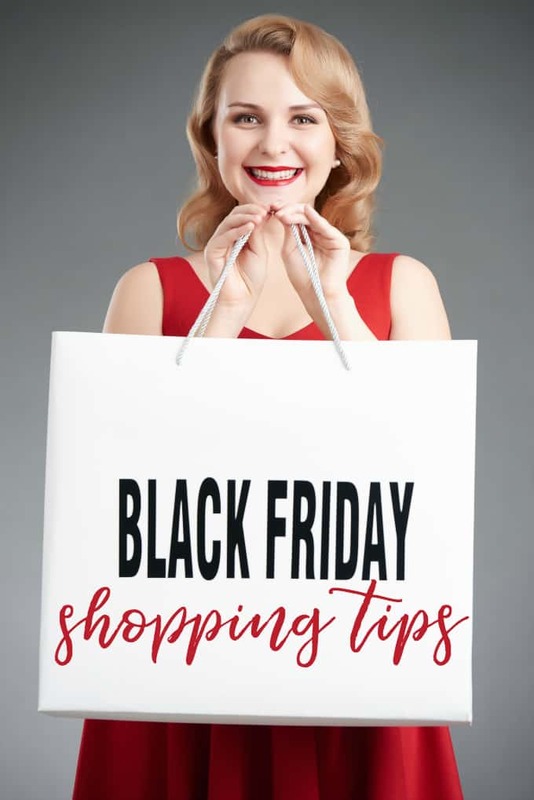 While it is true is that the scenes we see every year of people being trampled, all in the name of a discount, aren’t ‘fake news’, there are ways you can participate in Black Friday sales without mowing anyone down! A calculator to convert US dollars to Canadian. After you do the math, you’ll find that some items, even with a deep discount, aren’t worth it. Don’t forget that you’ll also pay duty for online shopping and while many e-tailers now calculate that for Canadian shoppers, some don’t so add that in too! Sign up for emails from the stores that you are interested in shopping at a couple of weeks before Black Friday, whether you intend to shop online or in person. They’ll likely notify you in advance of some of the deals you will find and you can prioritize your shopping experience based on that information. Also, check their social media feeds for last minute additions to the list of specials! Check store policies for information about limits on quantities that can be bought, return policies and so on. Some return policies are easy going. Others are very strict, particularly with Black Friday deals. Know your pricing: some things are listed as a deal but actually aren’t. Stores are counting on the hysterical frenzy that the words “Black Friday” tend to create so that you won’t look too closely at the discounted price (over retail sticker price), or worse, notice that the original sticker price has been inflated, relative to competitors, to make the discount look better. If you’re shopping in person, book your hotel WELL in advance. The busy holiday period will obviously see higher prices and that could eat into any discounts you get. There IS value in staying over, if you plan to cross the border for your shopping extravaganza, since a stay of less than 24 hours means $0 in duty free items. A stay of 24-48 hours has a $200 limit and if you can stretch to 48 hours +? $800! That’s PER PERSON! If you truly want to score a deal, you need to be saving at least 40%. Anything less and you could probably get that price at another time of year, without the crowds. Clothes, for example, tend to go on sale with even deeper discounts in August, September and January, so make sure you are really getting a deal if you’re shopping on Black Friday. There are certain brands which rarely go on sale and only ever have discounts deeper than 30% on Black Friday (Ray-Ban, Oakley, Patagonia and Fossil, to name a few! ), so if you’re seeing 30% off those and they’re on your list, go for it! Many malls and shops that are near the border offer shopping with the Loonie at par on specific long weekends and holiday weekends, including Black Friday. Check your favourite stores and see what they’re offering, before you set off. Change your money into US dollars before you leave. That way, you can shop around for the best rate rather than settling for whatever is on offer when you’ve crossed over. ATM machines should be avoided at all costs: they have THE WORST rates, to say nothing of large transaction fees. Add a Black Friday shopping app to your phone, so you can organize where you are going and get alerts as to the latest deals and specials! While the prevailing wisdom is that you should shop early for the best deals and selection , many retailers, in a bid to keep shoppers coming all day, offer interesting discounts later in the day. The downside? If you’re looking for the season’s hottest toy, or sizing on great boots, you might be out of luck. Even with the exchange and duties, a lot of stores offer equal or sometimes even better discounts online. It won’t necessarily serve you best to sleep outside your store of choice so you can be first in for the door crasher specials, particularly if you end up getting trampled in the process! Plus you save yourself the time and effort of travelling over the border, to say nothing of the cost. Cyber Monday—the online equivalent of the in person Black Friday—will also often continue for days afterwards, depending on stock, so keep looking! Also, make sure you use ebates to get cash back on your online purchases. There are a lot of retailers who start discounting online before the big day, so scan sites of your chosen stores in the days before Black Friday: you might find exactly what you’re looking for at an acceptably discounted price, well in advance. So whether you brave the crowds in person, or stay in your pyjamas and shop online, Black Friday deals can be yours for the asking… If you have any tips for getting the best deals, let us know. I certainly wouldn’t want to go in person to a huge sale like this, from what I’ve seen it’s absolutely chaotic. Good tips for those wanting to take their chances on black Friday, me I’ll be sat at home in the warmth and not being trampled on/screamed at etc. Great tips! I will probably be checking out online sales and maybe go to a couple stores but I don’t have very much shopping to do so if it is too chaotic I will just leave.